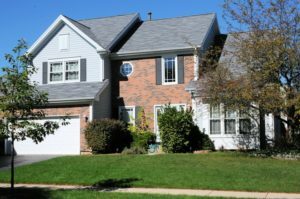 Should You Invest in Replacement Windows and Doors for Your Evanston, IL Home? Investing in your home can bring many benefits to your family, but sometimes it can be overwhelming to think about the time and money you need to put into improving the quality of your property. If you want to upgrade your home without the headache of managing a lot of projects, you need to consider a few simple solutions. Replacement windows and doors are a great place to start because this project will improve the appearance and the function of your Evanston, IL property. How much would you like to spend on your home improvement projects? What are your goals for your property? It is essential to answer some of these questions to understand the best path forward to improving the quality of your home. 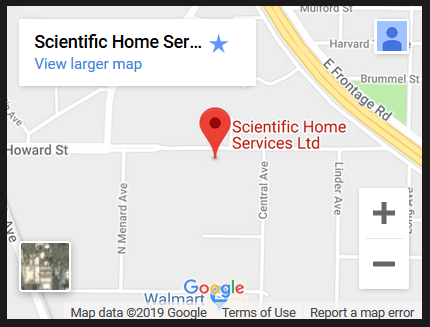 At Scientific Home Services Ltd, we have been in the business since 1928. We are proud to offer the leading window and door service in the greater Chicago area. Our team is here to provide the assistance you need for window repairs or a full replacements. How Much Can You Spend on Replacement Windows and Doors? Cost is a big factor for many homeowners. It is essential to consider your budget and plan accordingly so you have the money to buy the windows or services you want. The best way to estimate the cost of your project is to talk to a window expert for more information. You will need to determine the windows that need to be replaced, the materials you would like to use, and any other features that need to be included in the installation. Setting a budget will help you make the right decisions for your family. Just because you want high-quality windows doesn’t mean you need to spend a lot of money. Our team is focused on delivering the best quality services and products at prices you will love. We work hard to offer top-notch materials and installation for every customer. If you are interested in discussing the options for replacement windows and doors, you can contact us to learn more. We will happily offer a no-pressure, free estimate for your home. By assessing the quality of your current windows, we can make recommendations for your family. Everyone wants to live in a nice home, but not all homeowners are willing to put in the work to create the home of their dreams. If you aren’t satisfied with the quality of your home, you need to consider the advantages of investing in home improvement projects. The benefit of replacement windows and doors is that these projects can drastically improve your home. With a small investment and minimal disruption to your family, you can upgrade the look and feel of your property. It is amazing to see the differences after the new windows are installed! Your home will look better from the outside and inside. Additionally, you will enjoy better function with improved energy efficiency, optimized movement of the window panes, and security for your family, among many other things. Here at Scientific Home Services Ltd, we want to make it as easy as possible for you to upgrade the quality of your home. If you are thinking about options to invest in home upgrades, we would love to talk to you about the benefits of replacement windows and doors. We are always here to answer your questions. When you talk to our team, you will appreciate the undivided conversation and attention to details we give to our customers. Since we have been in the window industry for a long time, we know the best solutions to fix your problems and help you meet your goals. You can talk to friends and family to get personal recommendations. If you know anyone who has hired our company in the past, you will be able to hear about their great experience working with our team. Additionally, you are invited to research our company to see that we have an unblemished reputation in Evanston, IL, and the surrounding areas. Are you ready to get started? Whether you are looking for basic information about replacement windows and doors or you are ready to schedule an installation date, we can help! You will first receive a no-cost in home assessment, giving us the opportunity to provide you with a free estimate. Then, you can move forward with the project when it makes sense for your family. We provide a no-pressure environment, allowing you to move at a comfortable pace. Contact our experienced team at Scientific Home Services Ltd for more information. You are welcome to visit our showroom at 5639 W Howard St, Niles, IL 60714. Or call anytime set up a time for your free estimate: (847) 752-0370.